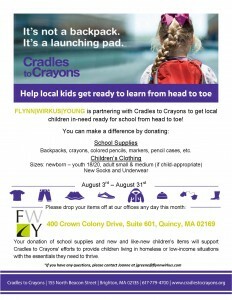 FWY is now accepting donations at our Quincy offices throughout the month of August for the Cradles to Crayons Back to School Drive. Please consider dropping by – every little bit helps! 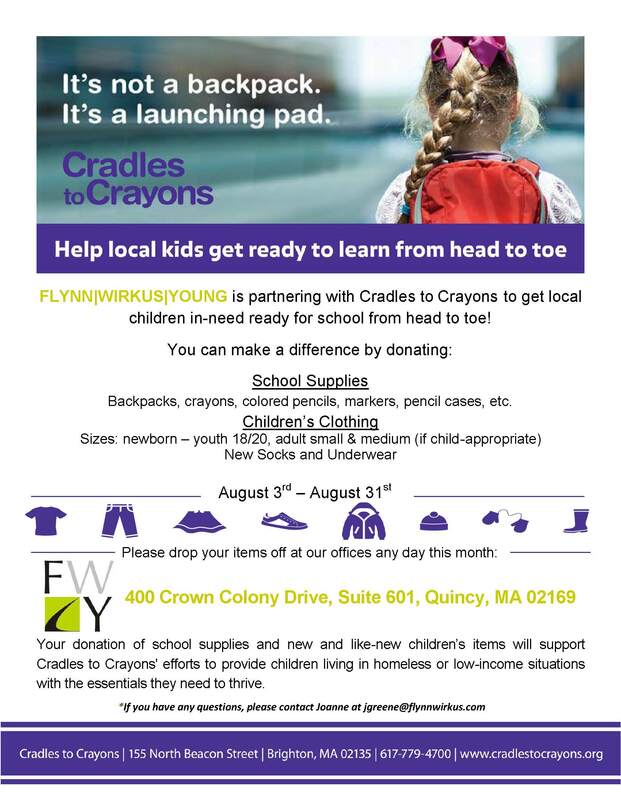 For more information check out our flyer below.